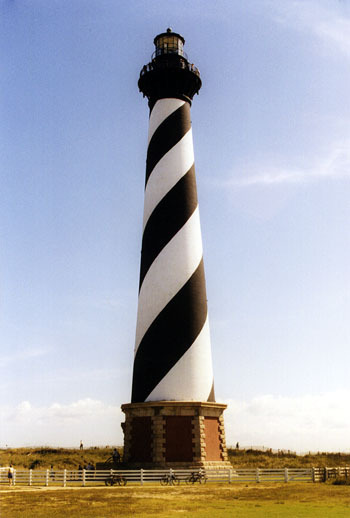 Cape Hatteras Lighthouse is the biggest and tallest lighthouse in America. It was built in 1870 in North Carolina. It is 225 feet tall and has 268 steps inside to the top. The visible signal is 20 miles. The current lighthouse is the the second structure. It had moved because it was close to water.